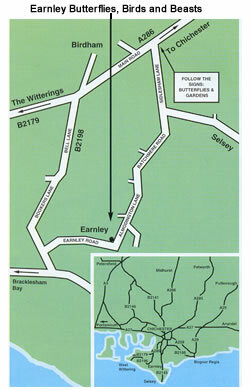 Please print out this page and bring along with you on your visit to us, to qualify for the following prices at Earnley Butterflies, Birds and Beasts. Offer does not apply to group bookings. Offer only applies on presentation of this voucher. Ten minutes drive from Chichester. 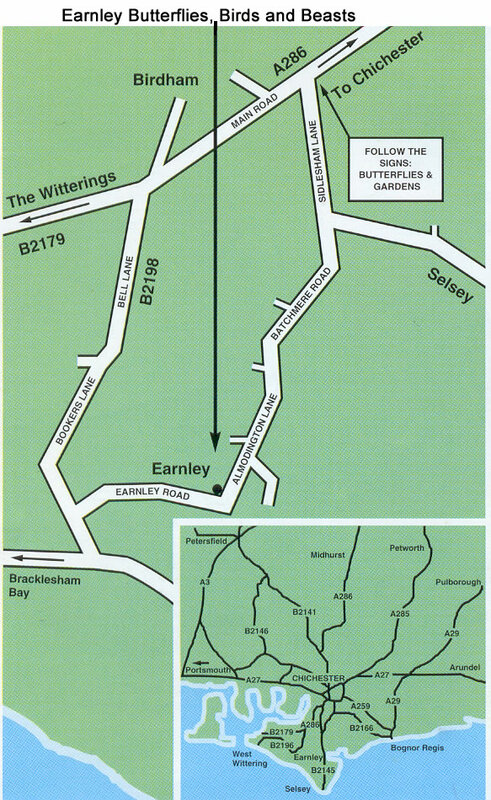 Follow brown signs for Butterflies and Gardens on the A286 Chichester to Witterings Road, off the A27 Chichester By Pass. Click on map to enlarge size.